The MINI John Cooper Works Clubman ALL4 shows that power and poise don’t need to be mutually exclusive. Its ALL4 drive system lays down enough grip to make every corner a serious challenge to the laws of physics. A mighty 231 hp under the bonnet propels you from 0-100 km/h in an eyebrow-raising 6.3 seconds. 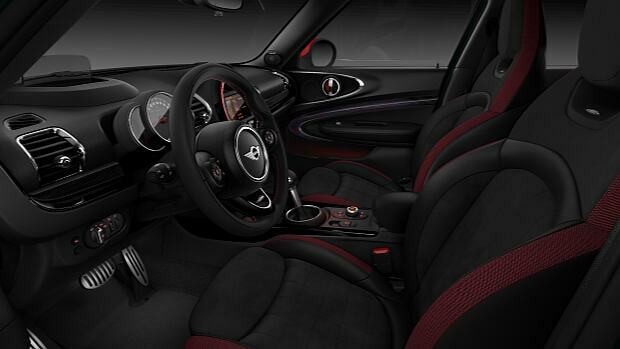 And thanks to its elegant styling, you’ll still out-dapper anything else at the traffic lights. 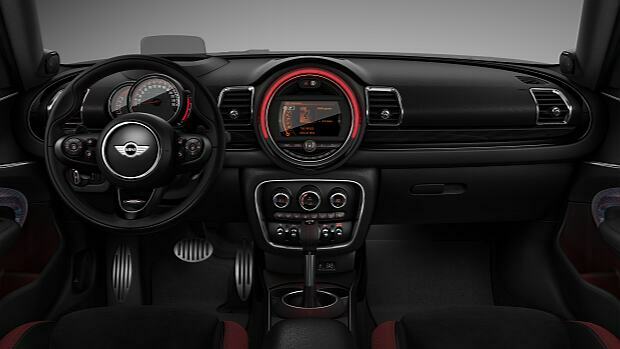 PIANO BLACK ILLUMINATED INTERIOR SURFACES. Luxurious, elegant lighting gently illuminates the cockpit’s smooth interior surfaces. Settle on a hue to suit your mood, sit back, and make every journey uniquely memorable. 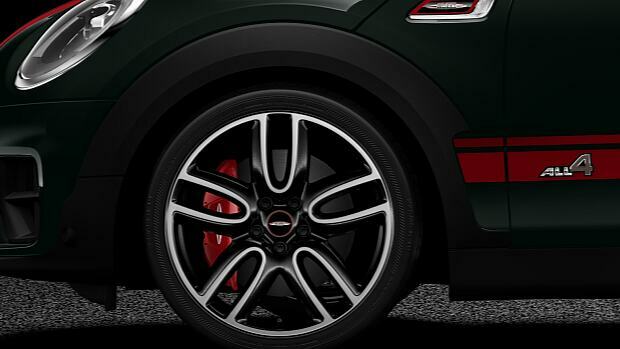 These lightweight alloy wheels don’t just look the business. 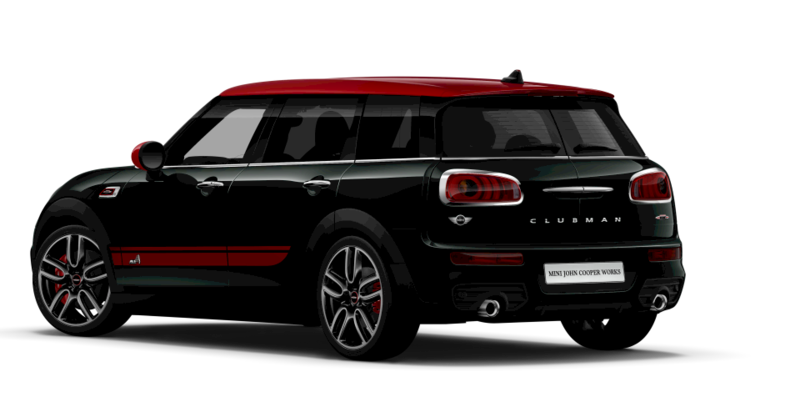 They also keep you firmly planted on the asphalt, and crank up the agility on the John Cooper Works Clubman ALL4’s already nimble handling. 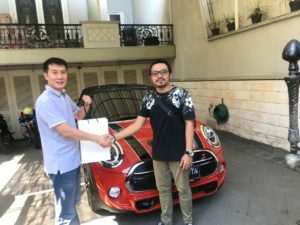 The Chili Red roof is more than just a paintjob. It’s a spotlight-stealing, street-stopping statement that announces your presence everywhere you go. 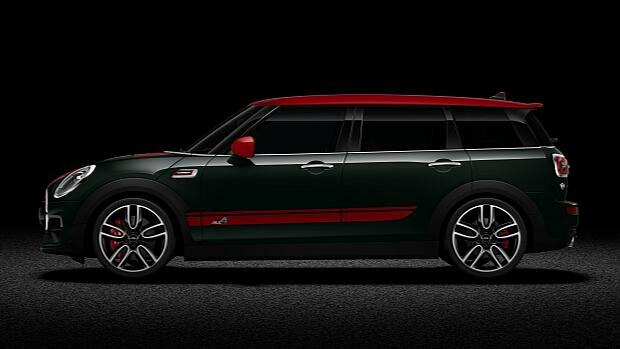 And even better, it’s exclusive to models with the John Cooper Works badge. The Chili Red roof is more than just a paintjob. It’s a spotlight-stealing, street-Strap into the crafted cocoon of these exclusive Dinamica Carbon Black Sport Seats and stay cool through every corner. Their figure-hugging, g-force-defying lines keep you firmly in place – and thanks to their high-quality materials they make quite the first impression too. 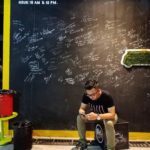 statement that announces your presence everywhere you go. 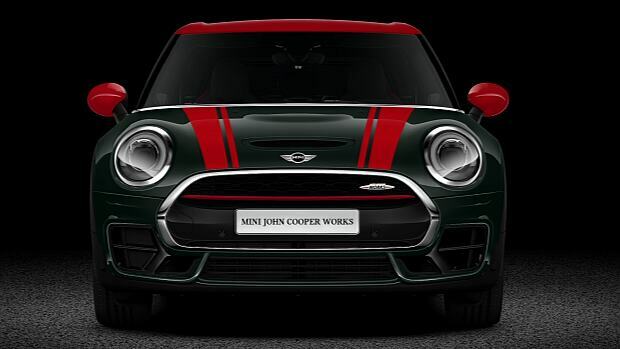 And even better, it’s exclusive to models with the John Cooper Works badge. Performance and elegance don’t need to be mutually exclusive. 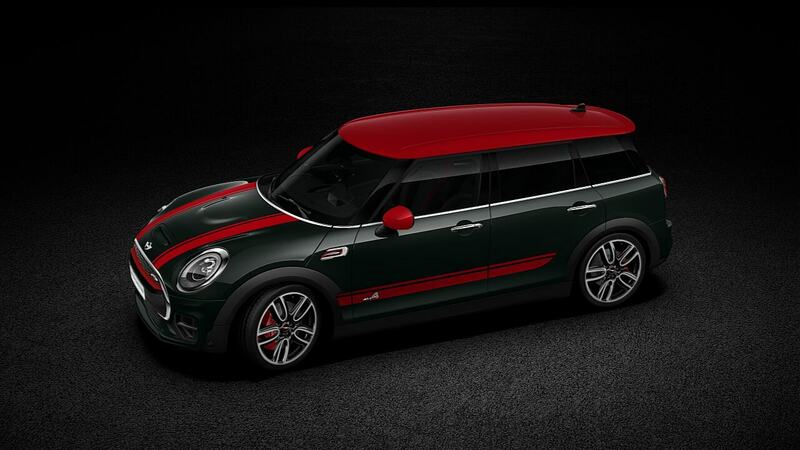 The John Cooper Works Clubman ALL4’s Rebel Green paintjob is a head-turning, street-stopping match for the engineering under the bonnet.